Nazca is one of the most famous archaeological sites in South America. The Nazca Desert is a high plateau about sixty miles long and five miles wide on the coast of Peru, some 250 miles south of Lima. At some time before 1000 BCE, the Nazca Valley was inhabited by a people who developed advanced farming methods that allowed them to build an irrigation system, improve their crops, and expand the area of land they could farm. Over the next 1,500 years, they also developed outstanding skills in weaving, pottery, and architecture. The Nazca were wiped out after the Spanish conquest, so that piece of history is quite blank. Perhaps the most fascinating of their cultural achievements was the creation of a remarkable ground art. Nazca art impresses the masked ritual performances and the rituals are associated with rain, water, and fertility. Human heads were also regarded as valuable trophies. The burial tradition was practiced at Cahuachi. Huddled bodies, some wrapped in cloth, were buried in circular pits or in great deep adobelined tombs, both generally roofed with logs. Cahuachi was the big cemetery and the place for votive offerings. These rituals and religious practices are also reflected in the famous feature in Nazca, Nazca lines. 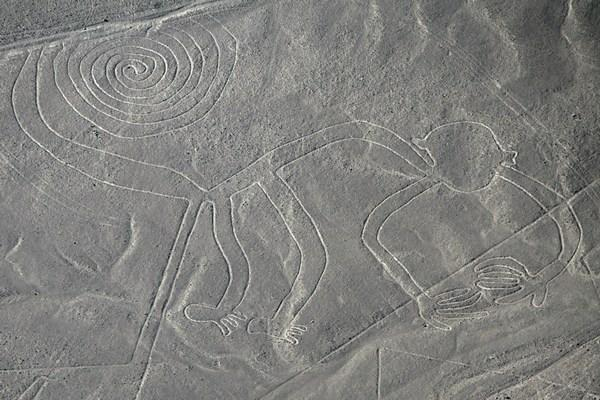 The several lines reflect the wishes of Nazca people to get water and fertility of the land. Many anthropologists, archaeologists and astronomers still argue about the usage of the mysterious Nazca lines. 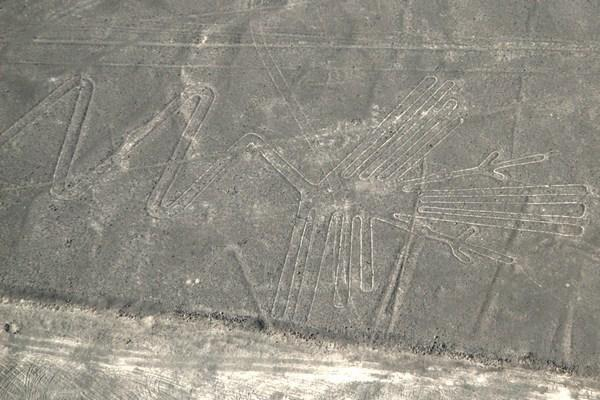 The Nazca Lines were created in the time of the Nazca Indians, who flourished in the area from 200 BC to about 600 AD. Graves and ruins of their settlement have been found near the lines. Since their discovery, various theories have been proposed regarding the methods and motivations underlying the lines' construction. The archaeological explanation as to who made them and how is widely accepted; namely that the Nazca people made the lines using simple tools and surveying equipment. Wooden stakes in the ground at the end of some lines (which were used to carbon-date the figures) and ceramics found on the surface support this theory. Furthermore, researchers such as Joe Nickell of the University of Kentucky, have reproduced the figures using the technology available to the Nazca Indians of the time without aerial supervision. With careful planning and simple technologies, a small team of individuals could recreate even the largest figures within a couple of days. However, there is less existing evidence concerning why the figures were built, so the Nazca people's motivation remains the lines' most persistent mystery. Many scholars believe that their motivation was religious, making images that only gods in the sky could see clearly. In 1985 the archaeologist Johan Reinhard published archaeological, ethnographic, and historical data demonstrating that worship of mountains and other water sources played a dominant role in Nazca religion and economy from ancient to recent times. He presented the theory that the lines and figures can be explained as part of religious practices involving the worship of deities associated with the availability of water and thus the fertility of crops. The lines were interpreted as being primarily used as sacred paths leading to places from which these deities could be worshiped and the figures as symbolically representing animals and objects meant to invoke their aid. However, the precise meanings of many of the individual geoglyphs remain unsolved. The Nazca lines cannot be recognized as coherent figures except from the air. Since it is presumed the Nazca people could never have seen their work from this vantage point, there has been much speculation on the builders' abilities and motivations. 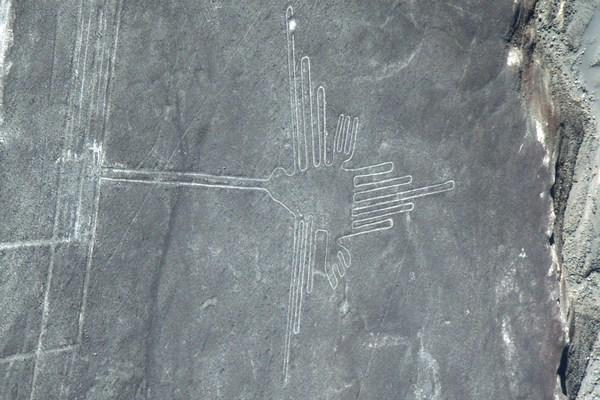 The Nazca Lines include straight lines and geometric shapes as well as stylized depictions of animals, humans and plants. The figures include: Killer Whale, Wing, Baby Condor, Bird, Animal, Spiral, Lizard, Tree, Hands, Spiral, Spider, Flower, Dog, Astronaut, Triangle, Whale, Trapazoids, Star, Pelican, Bird, Trapazoid, Hummingbird, Trapezoid, Monkey, Llama, Trapezoids. For Peru tours to Nazca Desert, the best travel period is december to march.